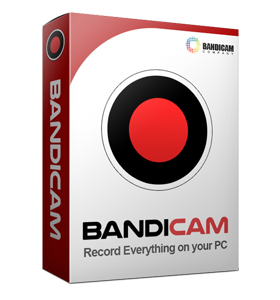 Bandicam usually uses 'Screen Recording' mode to record YouTube videos. 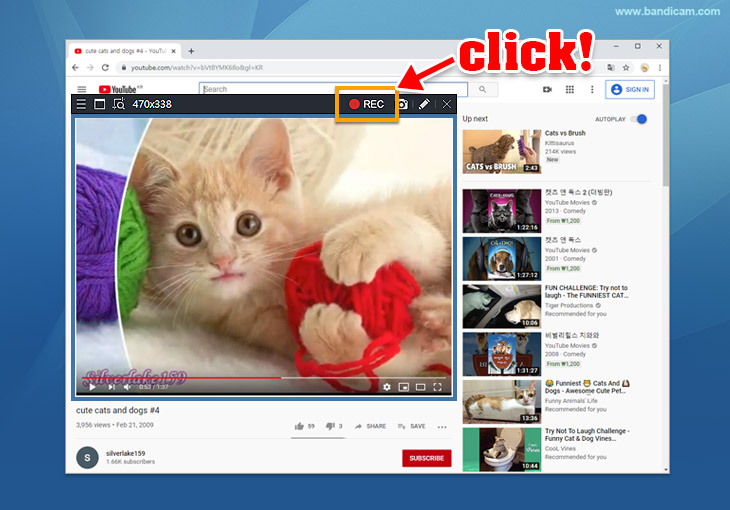 Please, follow the steps below to record the YouTube videos. When you click the ' ● REC ' button, the green-edged rectangle line will change to red. To stop recording, click the 'stop ( ◼ )' button. 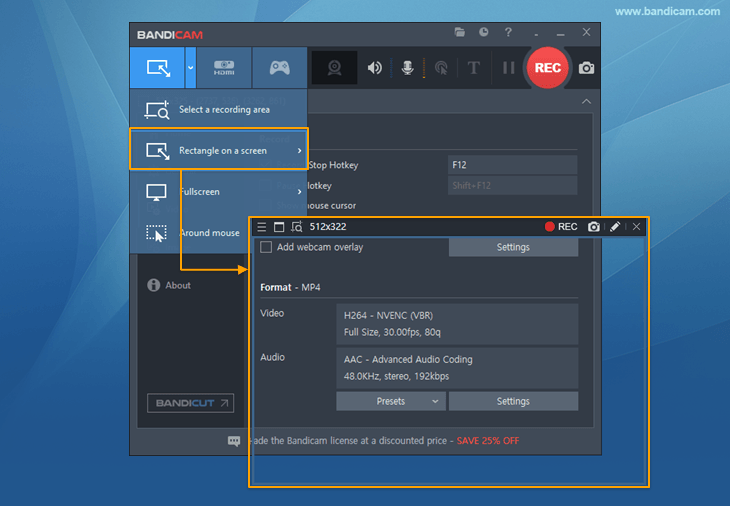 To pause the recording, click the 'pause ( ll )' button. 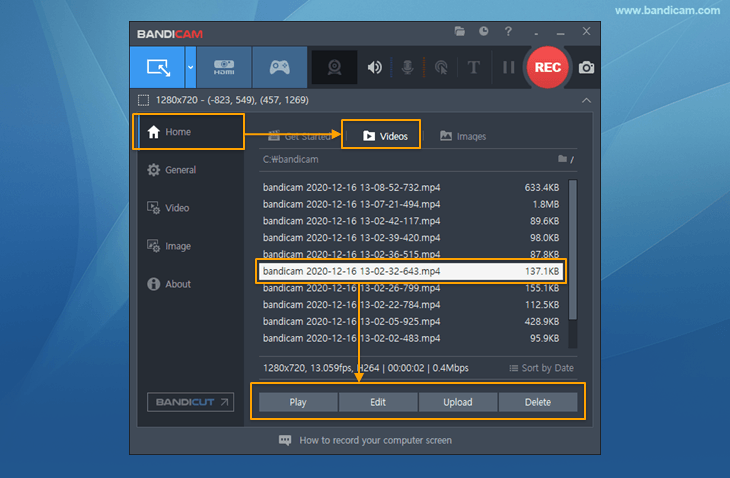 To make 1080p/720p YouTube videos on Bandicam, just choose the "YouTube (1080p/720p)" Preset. A real-time drawing function is available. Users can simultaneously draw lines, boxes, or highlights while recording in 'Screen Recording' mode.